With over 140 Paris museums, or "musées" (say, meu-zay), a visitor can hope to see but a few of them. A visit to the Louvre or to the Musée d'Orsay tops most visitors' list of "things to do in Paris". Of all the varied Paris attractions, the museums of Paris offer the richest exposure to art, history and uniquely French culture. There are many museums in Paris, over 140, and the variety of offerings is impressive. Whatever your interests, you'll likely find a "musée" on the subject. If you like things mechanical, that move and creak and get things done, visit the Musée des Arts et Métiers, or the scientific demonstrations and exhibits at the Palais de la Découverte, a great one for kids. If you are interested in the ocean and sea-faring, you will enjoy the Musée de la Marine, in the Palais de Chaillot. For the military historians, there's the Musée de l'Armée. Maybe you are re-tracing the events of World War II in Europe, the footsteps of a relative or even your own, then the Memorial of the Liberation of Paris will be of interest to you. There are many Paris Museums dedicated to individual artists including Pablo Picasso, Auguste Rodin, Eugene Delacroix and Salvador Dali to name but a few. 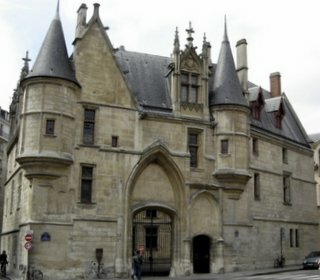 You will find museums of Natural History, of the history of the Middle Ages and the History of the city of Paris. The list of the museums of Paris below, though not exhaustive, should give you enough material to find a few which speak to your interests. Each listing will give you detailed information including location, hours, admission fees and a link to their website, if they have one. Here is also a list of the Free Museums in Paris. The museums are listed here in French, just the way you'll be looking for them in Paris.